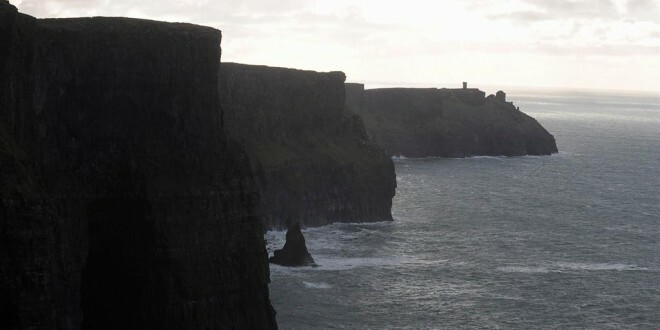 The Cliffs of Moher Visitor Experience recorded its one-millionth visitor of 2015 on Monday (September14). 2014 was the first year in which the Cliffs of Moher Visitor Experience saw more than one million visitors and last year the millionth visitor arrived on October 20. The one-millionth visitor was recorded 36 days earlier this year. This year marks the fifth successive year of increased visitor numbers to the Clare County Council owned visitor attraction with figures for the year so far up 14.7% or almost 130,000 visitors on the same period (January 1 to September 14) in 2014. FITs (Fully Independent Travellers), including walkers, cyclists and those travelling by car or public transport, made up 55% of the total. Groups, mainly travelling by coach, accounted for 45% of the total. Visitors from the USA are the strongest visitor market, accounting for more than quarter of total visits with strong performances also noted in the French, German and Australian visitor markets.